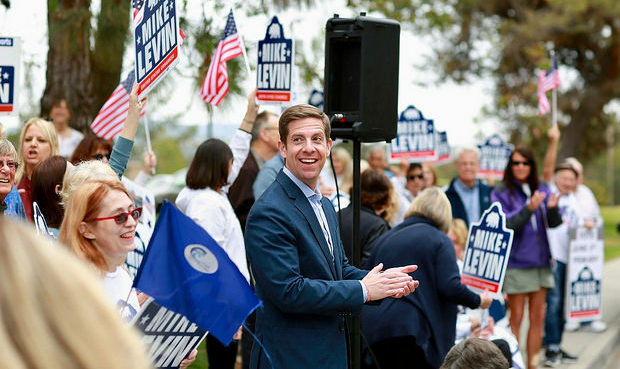 Mike is a clean energy industry attorney and non-profit founder and director who has been endorsed by the Sierra Club and the California League of Conservation Voters. I believe that the way we treat animals reflects the values that we hold, and I will be a strong advocate for the protection of wild and domestic animals, and to protect the habitats of threatened and endangered species. I have been deeply troubled by recent actions by President Trump and Darrell Issa to undermine animal welfare. These actions include a resolution overturning the ability of the U.S. Fish and Wildlife Service to prevent the shooting or trapping wolves while at their dens with cubs, using airplanes to scout for grizzly bears to shoot, trapping bears with cruel steel-jawed leghold traps and wire snares and luring grizzly bears with food to get a point blank kill. Moreover, the U.S. Department of Agriculture recently removed public access to tens of thousands of reports that document the numbers of animals kept by research labs, companies, zoos, circuses, and animal transporters—and whether those animals are being treated humanely under the Animal Welfare Act. Vote for Mike! To support his campaign, please contribute and get involved.